You could say that Rabbi Adam Feldman’s support of Israel’s Magen David Adom is in his blood — or vice versa. Whenever he visits Israel, Feldman makes a point of donating blood at an MDA center, he told NJJN. And last year, he was the first overseas rabbi to bring a group of his congregants to do the same. “Our trips to Israel aren’t just to visit and learn; they’re also a chance to give,” he said. 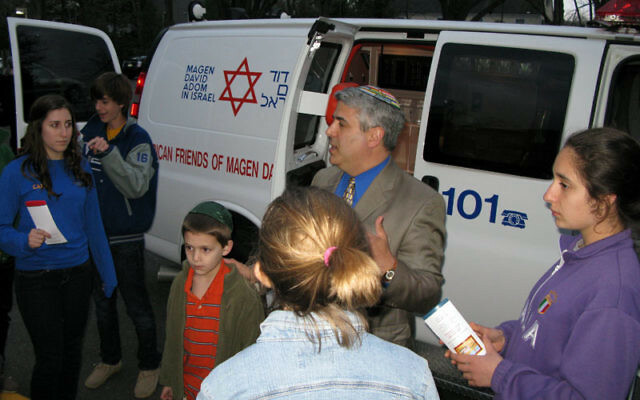 For his work on behalf of Magen David Adom — Israel’s emergency response organization — the religious leader of The Jewish Center in Princeton will be honored at a brunch on Sunday, May 15, at the center. The American Friends of MDA will present Feldman with its Life Line Humanitarian Award in recognition of his personal support for its work and his efforts to engage others in similar support. Funds raised through the brunch will go toward maintenance of the MDA’s fleet of 800 ambulances. With missiles reaching deep into the country, said Sharon Schmidt, director of Greater Philadelphia AFMDA, they need to be stationed at the ready wherever possible. Ambulance crews respond not only to terror attacks but to other emergencies — a woman suddenly going into labor or a senior having a medical crisis. Given the speed and hard use they face, most ambulances need to be retired after about five years. Each standard ambulance costs $100,000; those equipped as intensive care units cost $125,000. “We are so pleased to be able to honor Rabbi Feldman for his outstanding support of MDA,” said Schmidt, who is organizing the brunch. 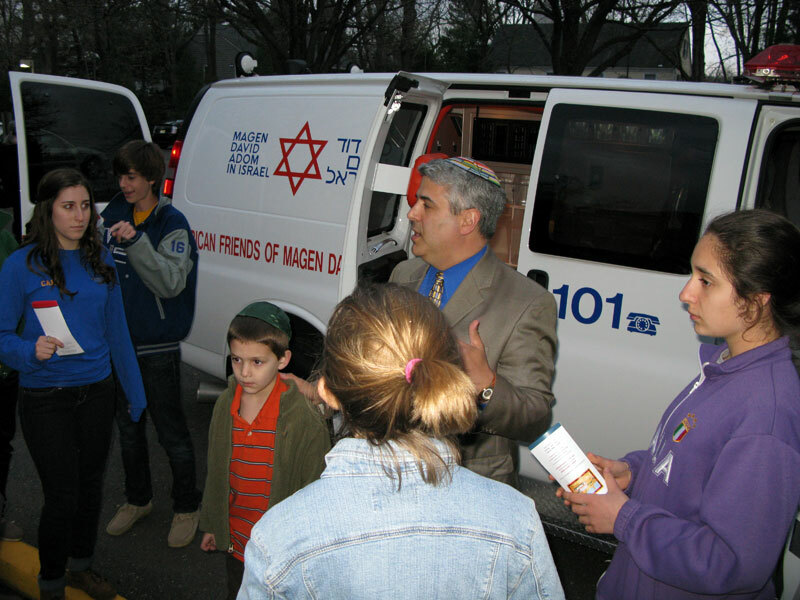 “We are grateful for the generosity of the entire Princeton community that will help us purchase another ambulance and the equipment needed to save lives in Israel.” She said she is hoping that people in the Princeton area, inspired by Feldman and the couple chairing the event, Michael and Lori Feldstein, will form a local AFMDA support group. Michael Feldstein — whose brother Jonathan serves as Israel representative of AFMDA — said he was especially honored to be selected to cochair the event. “My brothers and I grew up in Princeton, and we were always aware of how vital an effective ambulance service can be,” he said.